on Sunday, November 4, 2018. Worship is central to our life together, and we worship liturgically. Our regular weekly service is on Sundays at 10:30am during the academic year (no services on academic breaks), and at varied times in the summer. We celebrate the Lord’s Supper (communion) every Sunday. 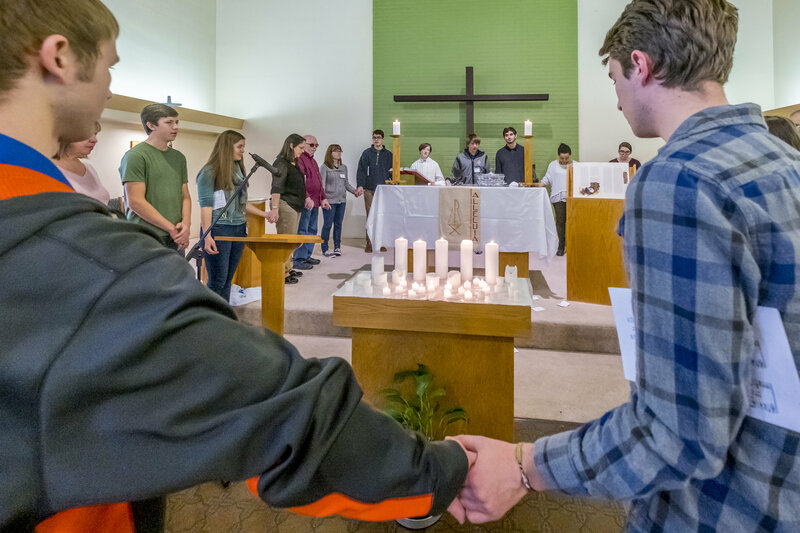 We often offer evening meditative, candlelight worship as well, depending on the particular needs of our changing community each semester. 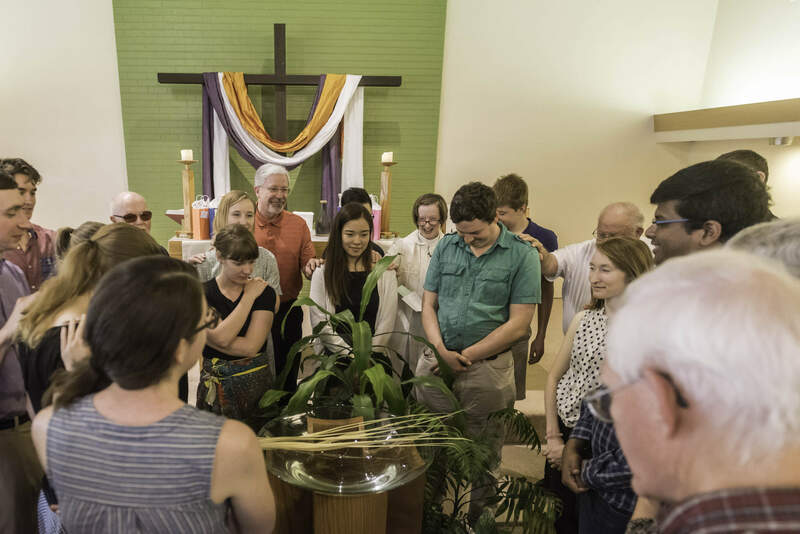 Liturgy means “work of the people.” We’re convinced that worship is not entertainment but active communal participation in scripture, song, prayer, and sacrament (Lutherans have two sacraments: baptism and the Lord’s supper). We believe God speaks through the ancient traditions of the church as well as through fresh, creative interpretations. We don’t worship alone, and we don’t worship perfectly. We believe we’re all in the same boat: broken and whole, needing to be loved and to love, each of us with unique gifts to offer. We rely on God’s grace through Christ for the courage to love and serve God and neighbor. Because we are a campus church, those who worship with us represent many traditions. We welcome and are enriched by a variety of expressions of piety and “styles” in worship. Our God is bigger than one faith tradition! Across from the University YMCA.